Whether you’re a seasoned pro or a fresh faced newbie, the world of caravanning is filled with a whole host of potential adventures. The world of caravans is always changing, so keeping up with caravan trends can be a tough job! At The Insurance Emporium, we like to stay abreast of current developments, and we’ve previously made suggestions for new caravans and equipment to look out for. But here’s our tips for a wider range of caravan trends in 2019! 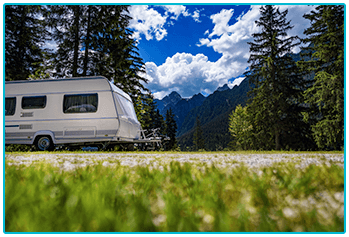 2019 is set to be a tough year for both new and used caravan traders! This is because buyers seem to be attempting to scoop up bargains in a bid to spend less. It looks, though, like there could be a steady demand for more spacious eight feet wide ‘vans, as people look for comfort in their home away from home. 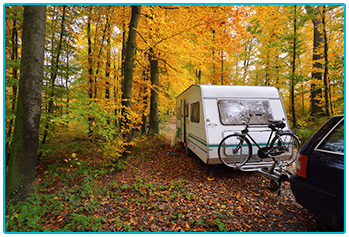 It might pay to be careful though – if you’re planning to visit locations such as Devon or Cornwall, towing a wider caravan could be tricky on their tiny roads! The contemporary caravanner has an endless amount of new gadgets to choose from! One of which might be apps such as Swift Command, Truma iNet and Alde Smart Control, which allow you to control your caravan’s lighting, heating and water levels remotely when you’re out and about. There are now caravans on the market that are made specifically with these features, which is great news for the more tech-savvy caravanner! 3. It’s getting hot in here! 2018 was a great summer! So great, that air conditioning might be looming large upon the horizon for caravan trends this year! Units such as the Truma Aventa could become really popular, as they’re easy to retrofit to the roof of your ‘van. Alternatively you can have them factory fitted when you buy a new caravan. They can also be handy for keeping warm on chilly nights and cold winter days! The internet has become such a large part of our everyday lives, and for caravanners this is no different! Whilst some might want to use their ‘van to get away from it all, others will want to stay connected at all times. Free onsite Wi-Fi at caravan sites might be becoming a feature that holiday makers increasingly look for when planning their trip. Wi-Fi boosters such as the Kuma Wi-Fi Kit could also be helpful, taking what could be a slightly dodgy connection and boosting it to full strength on your devices! With Britain’s exit from the EU imminent, 2019 could be set to be an uncertain year for travel! 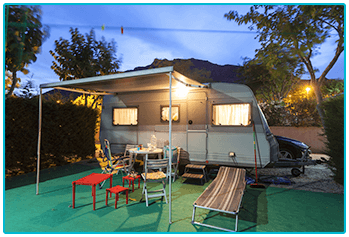 However, people might still be looking to take their caravan to France, Spain and Italy for longer periods away. Keeping an ear to the ground, though, could be a good idea, as restrictions on travel might be liable to change, especially if you’re taking your pet away with you! For people staying in the UK, Scotland could be the place to be this year – the North Coast 500 Ultimate Road Trip might just end up being the top of your bucket list! Owning a caravan can provide a gateway to endless fun and adventure for you and your family. Hit the open road, see the world and relax in beautiful surroundings on your own terms. If you already own a caravan, or are looking to purchase one, why not grab up to 45% discount* on new Touring Caravan Insurance policies with The Insurance Emporium, and start your travels today! * The discount is capped at 45% and made up of 25% Introductory Discount plus a range of additional security discounts (if appropriate). The 25% Introductory Discount is available for the first 12 premium payments on lunar and calendar monthly policies or one premium payment on annual policies. This blog is in no way sponsored, endorsed, administered by or affiliated with Swift, Truma, Alde or Kuma.